The purpose of this research is to investigate the relationship between innovation and human capital investment, and to show how the implementation of these two concepts leads to economic development. A case study was conducted in Jordan with one-to-one, in-depth expert interviews to obtain the information needed to answer the research questions; in addition, a focus group of ten final year undergraduate students (about to enter the educated workforce) experts offered their thoughts and ideas to identify how youth today relate to this research and its findings. The findings identified four main pillars required to support economic development and achieve a competitive advantage using the country’s human capital: Habilitation, Opportunity, Power Distance, and Entrepreneurship (HOPE). The findings also indicated that Jordanian culture is highly germane to all four pillars, which can encourage innovative human capital and ensure economic development. This paper is important to the Jordanian community and the Arab world in general, which lacks awareness of the importance of human capital in socio-economic development; the study helps understand innovation and economic development in the region. This paper explores the relationship between innovation and human capital investment, and shows how this combination will lead to the development of Jordanian culture and the economy. Modern technology and all of its rapid changes is entirely driven by innovations originating in the human brain. Human cognition is intangible, yet it determines the creations of humans and the ways in which we perceive and interpret the world. The creation of innovative ideas and technologies is considered uniquely human, and it is fundamental to advances in all sectors and aspects of human life (Marlin-Bennett 2004). However, most organizations fail to utilize their human capabilities to the optimum extent, because they are focused on task-based execution approaches (e.g., the operation of equipment) rather than developing and deploying the nebulous resource of human capital to increase productivity. Nevertheless, firms have long been alerted to the advantages of making the management of people their number one priority (Drucker 2018). In classical economic theory, human capital is regarded as an exogenous factor in economic development, rather than a main contributor. According to Blundell et al. (1999), the concept of human capital come up from a recognition that an individual’s or an organization’s choice to invest in human capital such as educate or train their employees is similar to choices about other types of investments. Human capital investments involve a costs which the individual or organization expects to gain a return on in the future such as increasing their productivity. However, more recent studies have shown that human capital, through education, innovation, and constant improvement, makes a significant contribution to economic growth and development (Pelinescu 2015; Dakhli and De Clercq 2004). This relates to the endogenous growth theory, which argues that that economic growth is driven by the improvement and enhancement of human capital (by means of innovation) to constantly create new, effective, and efficient processes and ideas from within the organization or system itself, without recourse to external factors of any sort (Grossman and Helpman 1994). This is particularly important in countries with limited natural resources, and even countries rich in such resources generally fail to utilize them optimally due to limited human capital development. The majority of people think of natural resources as the main source of income for any country, but all countries either have limited natural resources or simply do not have the means to utilize those resources in the right way. In other words, having natural resources does not in any way mean the country’s economic status is automatically better—on the contrary, if the resources were not properly utilized, then they become more of a curse than a blessing, especially in less developed countries. The reason behind that is the inability to place the revenue correctly to advance the country’s economy and standard of living, creating instead a negative outcome, leading to worse economic conditions and therefore a worse economic status than countries that are deemed poor in natural resources and that is how the term resource curse was created (Di John 2010). The relationship between human capital and innovation at the country level is grounded in what Bourdieu (1986) termed as “conversions,” that is different forms of capital can be converted into resources and other forms of economic payoff. This paper discusses how innovative minds and properly utilized human capital can help in the development of a country’s economy, resulting in a better, more sustainable economic status. It does this with particular regard to the case of Jordan, an Arab country with very limited natural resources but great human resource potential. Jordan has always suffered from the scarcity of its natural resources especially water and energy, thus the government has paid great attention to the development of the country’s human resources as the most important assets for sustainable economic growth. In fact, Jordan owes its success and survival in a complex and dangerous region to its investment in human capital over many decades. However, Jordan suffers from a brain drain, whereby its educated human resources are lured to more lucrative salaries in other countries (e.g., in the GCC), depressing the development of native human capital in those countries and failing to fully utilize Jordanian human capital indigenously. Capital is the lifeblood of corporations, allowing organizations to maintain liquidity while investing and enlarging their operations. 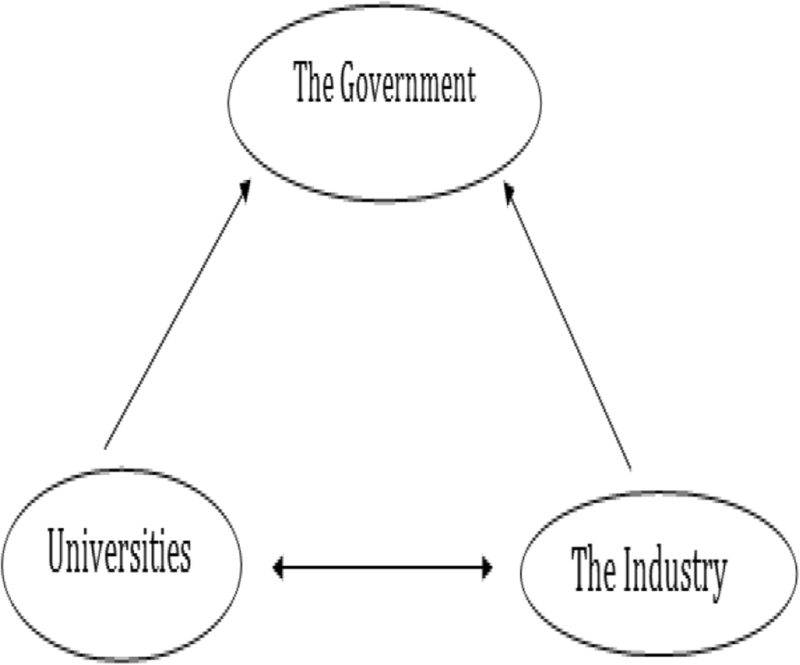 Capital is conventionally considered in terms of physical assets such as cash, real estate, and inventory, but in the modern information economies of the digital age intangible capital such as intellectual property and human capital is becoming increasingly critical to maintaining competitiveness in the global economy (Stewart 2007). In addition to its intrinsic value, human capital is reflected in product quality (Stokey 1991). However, unlike physical capital, which is easy to find on the balance sheet, the value of human capital is often assumed (Lev and Schwartz 1971). Human capital and economic growth have a strong relationship; the former helps achieve the latter and can develop national economies through the knowledge and skills of a population (Barro 2001). Economic growth is an increase in an economy’s ability to produce goods and services relative to the baseline or past periods (Lewis 2013). It can be measured by measuring the percentage change in the real gross domestic product (GDP) of a country. Human capital refers to the knowledge, skills, and motivation that people have that provide latent or actual economic value; the extent to which it is genuinely valuable to an organization depends on how efficiently it is utilized (Wright et al. 2001). Human capital fundamentally comprises two main types of knowledge individuals have: explicit and tacit knowledge. Explicit knowledge refers to information that is searchable and can be easily communicated and shared, found in books and websites in numerical, lexical, or coded formats. Tacit knowledge is not easily expressed; it is highly personal knowledge found only in people’s head, based on their experiences and perspectives, which makes it difficult to share with others by writing it down or verbalizing it (Smith 2001). Organizations should seek to utilize both, and while it is more difficult to motivate people to better articulate their tacit knowledge to add value, each individual employee has different skill sets or knowledge, therefore the quality of work can be improved by investing in employee training and education (Kane 2010). The term human capital was first used by the father of modern economics, Adam Smith, in The Wealth of Nations (1776), referring to human intellect as one aspect of capital along with land, labor, and monetary capital. He stated that improving human capital through training, education, and experience makes an enterprise more profitable not only at the individual level but also adds to the collective wealth of society (i.e., “nations”). The term was neglected until the middle of the last century, when it was explored by economists like Becker (1975), who argued that investing in human capital through education, training, and skills was valuable because people cannot be separated from their knowledge or skills, but can otherwise be separated from tangible capital such as financial or physical assets. Mincer (1974) investigated the concept “investing in human capital in depth and stated that organizations should invest in human more than they should invest in other physical capital. He added that in order to maximize the outcome of the investment organizations should identify their employees” needs very carefully. Therefore, he stressed organizational ability to identify the specific training needs of personnel to insure the proper use of investment, rather than providing employees with general training which would not lead to effective human capital improvement. However, the leading modern economist who analyzed human capital expanded the term and looked at it from a more broad view, discussing the added-value obtained through investing in human capital rather than financial capital, and arguing that investing in human knowledge and intellect ultimately leads to an increase in individual potential and organizational productivity in addition to the creation of value (Schultz 1961). The way to create value for any organization and enhance its performance was discussed by more than one researcher and many theories were developed, one of which was argued by Echols (2014) who stated that learning is the essence of creating value, and in order to be able to achieve value, an organization’s employees must have a good educational background and have the capacity to accept change and new ideas. Another view to look at human capital is from a technological advancement perspective, whereby investing in human capital ultimately leads to technological advancement and therefore leads to economic development, although in the long run this ultimately obviates the need for most human labor due to increasingly sophisticated mechanization. Carillo and Zazzaro (2000) argued that the destruction of human capital and the rush to adopt an automated, technology-based work place environment will overthrow the skills acquired by workers over the years and create a major skills gap in future generations, imposing a very high and accelerating cost for training employees to use technology, causing most of them to lose their jobs and eventually increasing the unemployment rate. Others such as Sirkin (2012) disagree, arguing that no matter how far technological advancement goes, humans will always be needed to “push the button, or pull the plug,” therefore no matter how far automation goes, human capital will never fully cease to be useful, and development will always be driven by humans, not machines. According to Marques (2014), innovation is frequently the result of changes happening at the same time in various areas, whereby interrelation and reliance are conspicuous components. Item advancement can appear as an individual or concerted innovation, empowered by latent receptivity or changes in a company’s authoritative structure. Moreover, new items can appear when new market segments are investigated. In any case, item development is basically connected with changes in procedures entailing adjusting existing generation lines, introducing totally new frameworks, and executing further innovations. In general, prepared development prompts the formation of new items. Finally, another aspect of human capital investment views it as a sustainable, continually improved resource that delivers an innovative, creative output leading to economic development through innovation and creativity. Dumitrana et al. (2009) discussed how sustainability is addressed with two main concepts, a need and the capacity to answer to that need. Looking at sustainability from a human capital utilization perspective, the need comes from an obvious lack in knowledge, and the capacity to respond to the need comes through continuous training and a better educational background, resulting in better economic status and therefore higher standards of living and an improved future, and to an extent, a sustainable work force with tacit and explicit knowledge to benefit the organization, the industry, and the economy as a whole. Antoniu and Isac (2009) viewed human capital as a perishable resource that should thus be well understood in order to be properly utilized through two main outlooks: a quantitative outlook involving the available resources and present opportunities, and a qualitative outlook involving culture and its impact, education and training, and how they improve the understanding of human capital and help create value, which draws relations to the first aspect of creating value through investing in human capital. Discover how the implementation of innovation and the human capital investment leads to economic development in the Jordanian economy. Identify the steps an underdeveloped country can follow to achieve a competitive advantage through its human capital development and innovation. Case study research is meant to better one’s understanding of a complicated issue, or even expand one’s knowledge of an issue previously studied and researched (Soy 2014). A well-known case study researcher who defined the method as: an empirical inquiry that investigates a contemporary phenomenon within its real-life context, when the boundaries between phenomenon and context are not clearly evident, and in which multiple sources of evidence are used (Yin 1994). The term “case study” has multiple meanings. It can be used to describe a unit of analysis (e.g., a case study of a particular organization) or to describe a research method. The discussion here concerns the use of the case study as a research methodology. In this case study, we conducted in-depth expert interviews to obtain the information needed to answer the research questions (Eisenhardt 1989). Clearly, the case study research method is particularly well-suited to our research, since the object of our discipline to investigate the relationship between innovation and human capital investment, and to show how the implementation of these two concepts leads to economic development. To explore these issues further, Rania Center for Entrepreneurship (QRCE) was chosen as the case example. The choice of QRCE was considered very important because it would affect the research. It would also determine the level of access for carrying out fieldwork (geographical location of the enterprise, willingness to schedule for interview). After careful consideration, the decision was made to choose QRCE due to the amount of information and knowledge they have due their working in this field. They were also willing to assist in order to learn as an ecosystem for entrepreneurship development and support in the country. The case study approach was adopted for the empirical investigation of this research as it is useful for exploring areas where theory is still developing. It enables the researcher to gain in-depth understanding of a situation which is difficult to investigate using other techniques such as surveys. It is useful for examining questions of how and why so that new insights and knowledge may be gained. Also an interview allows the researcher to probe more deeply into the interviewee’s thoughts and ideas and to collect more details than is possible with a survey. In addition to Yin (1994), a previous definition of a case study was given by Eisenhardt (1989), who maintained that the case study is a research strategy that focuses on understanding the dynamics present within single settings. It is particularly appropriate for those problems in which research and theory are at their early, formative stages (Cepeda and Martin 2005). The key feature of this approach is not method or data but the emphasis on understanding processes as they occur in their context (Amaratunga et al. 2002). Cepeda and Martin (2005) cite the major advantages of case research put forward by Benbasat et al. (1987). The case method allows the questions of why, what, and how, to be answered giving a relatively full understanding of the nature and complexity of the complete phenomenon; unlike other research methods, which often aim at statistical correlations with less regard for the underlying explanations, case research is capable of discovering true causal relationships, finding such causal relationships should be the objective of the researcher in conducting case research (Hillebrand et al. 2001). As described above, the case study research method is used when phenomena and context do not have exact boundaries (Yin 1981, 1994; Eisenhardt 1989). This is why iterative triangulation using multiple sources such as a literature review, case evidence, and intuition is often applied in case research. The research question often changes during the research work, partly because of this iterative nature. Description of completed work usually combines both quantitative and qualitative information, using comparisons within and between the cases under scrutiny. In other words, this means multiple levels of analysis within a single study. Since interviews were considered as a technique for collecting original data related to the research topic (Modell 2007), a semi-structured interview with representatives from different organizations was conducted to collect the required information. This method was used because it joined structured and unstructured interviews together and used open-ended questions, which allowed the interviewer and the interviewee to openly discuss the topic (Rogers et al. 2011; Cooper and Schindler 2014). In addition to the open-ended questions, probing questions were used to allow the respondents to further explain and build on their responses (Saunders et al. 2009). This method would guarantee obtaining a better understanding and detailed information about the interviewee’s perspective. Interviewees were given the needed time to convey their openings and to respond to the questions without interruption, thus applying the rules of interviewing which govern most human interactions, no pre-judgments or assumptions (Modell 2007; Crabtree and Miller 1999). The study was conducted in Jordan, and the findings are based on the results gathered locally. The research focuses on finding and investigating the relationship as well as exploring the factors that affect that relationship. This study focused on employees from the Queen Rania Center for Entrepreneurship (QRCE), and the main data collection method was primary sources from interviewing instructors of innovation who gave courses on innovation to students across various universities, as well as individuals who have previously worked in the organization and are currently working as freelancers and taking the initiatives necessary to improve Jordan’s economy through innovation and investment in human capital. Two instructors and two freelancers were interviewed and briefed on the research and its purpose, and were sent the interview questions in advance in order to know what to expect and to be able to answer as accurately as possible. The interviews comprised 15 open-ended questions, in order to get as much insight on different perspectives of the research questions. They were recorded for reference, with the consent of the interviewees. Secondary data, such as quantitative details of age group and gender etc., was gathered from the QRCE website and from published records of the organization’s performance. The final research approach was a focus group discussion. Ten university students met to discuss five open-ended questions, in order to get an insight into their mindsets and how they see innovation and human capital, as well as into their thoughts and ideas for economic development. Participants were students in their last semester of a bachelor’s degree program from different universities across Jordan, as they are the ones who are about to enter the job market. Random sampling method was used. Throughout the research process, from reading the literature to individual interviews, the only constant was the answer to whether or not human capital and innovation are interrelated concepts; the answer was always yes. The research was furthered through investigation of how this relationship affects economic development. Every person interviewed saw this from a different perspective and defined the relationship differently; however, after thorough analysis of the interviewed individuals’ answers using thematic approach to analyze the interview results, as well as analytical analysis of the focus group discussion, it was concluded that in order to reach economic development, the four pillars that have a major effect on the ability of a country’s human capital to innovate must first be studied: Habilitation, Opportunity, Power Distance, and Entrepreneurship (HOPE). The next section explains the role of each pillar in more detail. Each pillar was found to be affected by at least three external factors; however, one factor proved to have a major effect on all four pillars: culture. Jordan was chosen for the case study as a sample of the Arab region as a whole, where most actions and thoughts are strongly influenced by the culture, traditions, and norms passed down to new generations. However, in order for youth to start thinking outside the box, innovating and implementing their creative ideas in real-life situations, the cultural impact has to be limited. The following sections discuss each pillar individually and the impact of culture on them. The other factor affecting the rehabilitation of young people’s mindsets was found to be the lack of motivation and commitment. During the focus group session, most students expressed frustration resulting from the inability to find something they were passionate about, and something that they could actually commit to. Most agreed that motivation and passion require room to innovate, create, and share their thoughts. Commitment comes through finding the right people to implement and help develop their ideas, and the right tools to help these ideas reach the greatest number of people and the right market. What is required is exposure to different opportunities and different industries, to help youth explore where they can excel and make a difference. They should be provided with the appropriate tools to suggest, formulate, and implement their ideas, learning from mistakes and failures. The second pillar that helps define the relationship between innovation and human capital is opportunity. Although the research proved that opportunity is one of the most important aspects of investing in human capital, it also showed that the problem lies not in the number of opportunities presented, but in the number of people willing to seize the opportunity, for the following reasons. In Arab countries, networking is an important factor in starting a career, with the nepotistic phenomenon known as wasta being more important for securing employment than merit or indeed education (Gatti et al. 2013). Most Jordanians rely on connections to find a suitable job, as confirmed by the students in the focus group. This way of thinking needs to be changed if there is to be economic development. The upcoming generation is pessimistic and frustrated, when they should be filled with innovative thoughts and creative implementation of these thoughts. Most students agreed that while they are still enrolled in full-time study, few (if any) opportunities for skills development or work experience presented themselves. Pressure from parents can affect the chances of taking the right step in the career path. In Jordan, and the Arab world in general, this is a real problem that faces most young people: their parents’ beliefs and how they exert pressure to reject what might be good opportunities for personal skills development. These beliefs relate back to tradition (especially with females), not wanting work to get in the way of their children’s education, thinking they are too young, etc. Wanting to graduate before seeking a job is the norm for most students, enforced by parental pressure. Young people will be discouraged and will lack the motivation to go ahead and present their ideas to the people in power. Young people will not think about creating something new and innovative. Human capital will cease to be innovative, and thus there will be no creativity in the people and their thoughts, and of course, no advance in the economic sector. The triple helix of innovation is a model of the relationship between three entities: the government, industry, and universities (Etzkowitz 2008). However, in Jordan, the relationship proved to be as shown in Fig. 1. Entrepreneurship and innovation are almost synonymous. The field of entrepreneurship in Jordan is highly competitive, as there are many ideas to initiate as well as many opportunities and centers that support entrepreneurial ideas and projects. This pillar is one of the most important dimensions of developing innovative human capital, because if it is encouraged, implemented, and applied, in addition to providing entrepreneurial opportunities, the next generation will not only cover the skills gap, but will lead the country directly to economic development and global recognition of Jordan’s human capital. Still, research has barely investigated the effect of culture on entrepreneurship, in particular, on motivators and their intentions to found a new venture. This is an important omission when envisaging the competition of nations and regions and the impact of entrepreneurship on innovation. To close this gap, this study aims to explore the effects of national culture on new venture generation. Therefore, a cross-cultural study was undertaken that analyses the impact of distinct cultural values on motivators and intentions to found a new venture. The following sections discuss each of these aspects and their effect in slowing economic development. Rehabilitating someone’s way of thinking begins with examining the deep cultural issues that might hinder reformation. To take the ego culture as an example: how are individuals expected to try out innovative ideas and share them with others before they are a proven success, when the country is filled with egotistic attitudes? Ego plays a major role in the way people treat each other, and as long as it exists, individuals will not be able to invest in other human beings and train or rehabilitate them to reach their full potential. The culture of shame, or taboo, also plays a major role in the advancement of human capital: if the country’s youth are living in a culture where they are shamed if they try to escape from the common comfort zone, then they have no motivation or willingness to actually try. Shame about the idea of innovation was a common reason given by the students from the focus group as to why they would not present their ideas or try to implement them in the market. Jordanian youth have a strong belief in the notion that one individual cannot make a difference, mainly because of the culture of shame that overtakes them and diminishes all hope of a better future. Parents’ traditions and values in and of itself mainly affects the female population in Jordan. The focus group revealed that three out of five females were unwilling to take initiatives or think outside the box because of their parents’ beliefs and traditions; their families would not accept the idea of daughters accomplishing something career-wise if this involved entrepreneurial behavior or choosing professional areas not considered respectable for women. This goes back to Jordan’s Bedouin culture, and it shows how most Jordanians, despite the massive changes happening around them for a century, are still hanging on to their ancestral mentality. Fear plays a major role in the impact of culture on opportunity. During the focus group discussion, eight out of the ten students said that the culture in which they live is very unforgiving, and that scares them and causes them to drop opportunities that could have set their careers on the right path. The culture of shame is the main reason for this fear, as the youth are constantly ashamed about mistakes they have made in the past; Jordanian culture in particular is unforgiving, mistakes are remembered and there is no clean slate, so youth are afraid to take advantage of opportunities or try new things. Young Jordanians suffer from uncertainty and a lack of belief in themselves, which results in a pessimistic, insecure generation who cannot innovate or lead the country to a better economic status. Ego also plays a role, because most Jordanians will not accept an opportunity that shows them starting small, as everyone wants to start at the top; this is not possible without the presence of connections, another major issue. Consequently, the confluence of ego culture and having the right connections results in a generation of unskilled professionals, working for the sole purpose of passing time and being paid. The unmotivated person with connections is given the job over someone who might be passionate about the work, who could have done better: a waste of a potential innovator and a wasted investment opportunity. In addition, the national economy will never advance if connections keep causing opportunities to be missed. The main reason for the gap between authority and the individual is culture. Our culture shapes almost everything that we do, and it revolves around authority. The problem however does not lie in the gap itself, but rather in the way we communicate with higher authorities. The communication line between authority and individuals is almost completely broken, because the hierarchy in Jordan is clearly evident and the distance between individuals at the bottom and authority at the top is too great. Jordanian culture accepts this hierarchical distribution, and therefore individuals do nothing to change it. Entrepreneurship represents new, unfamiliar ideas, and is one of the ways of representing innovation, through the application of human capital’s innovative ideas to new businesses. However, Jordanian culture is generally unable to accept change, or new and unfamiliar ideas, which means that unless we change the way the younger generation perceives knowledge, education, opportunities, power distance, and of course entrepreneurship, the economy will never advance. Figure 2 illustrates the importance of implementing the four pillars; it also shows how culture has an effect on each pillar individually, and all together. Finally, it demonstrates how the four pillars working together will drive the country into economic development through investing in innovative human capital. The findings indicated that in order for a developing country to reach economic development, the starting point would have to be a change in the country’s culture; however, it is not easy to change an entire country’s culture, and it would take years of work in order to reach the targeted mindset, so instead the country could work on implementing the HOPE model, with each pillar slowly causing a change on the culture of the country while still attaining the goal of restructuring mindsets to fit the current innovative and fast-paced world to help reach economic development for a developing country. Tapping accurately into a topic as broad as innovation and as sophisticated as human capital investment takes a long time, and therefore time was an important limitation in this research. We would recommend future work to be conducted over a longer time period in order to get the full benefit from the research. Another limitation was the lack of quantitative information available. Very few people in Jordan truly understand the concepts of innovation and the importance of human capital investment, which was a serious constraint on the kind of information gathered from interviewees and focus groups, and a possible cause of individual bias. We would recommend that future researchers explain to participants the exact purpose of their research in order to obtain the most accurate information from them. Innovation and human capital are closely related concepts, and together they have a major impact on a country’s economy. However, certain steps must be taken in order to achieve this positive impact, the first of which is to rehabilitate the minds of youth through changing the entire educational system into something more practical, where they can show their full creative potential, instead of being taught and examined on how well they can memorize textbooks. The second step is to provide more opportunities for young people to implement and develop their ideas; this goes hand in hand with entrepreneurship, the third step toward economic development. The final step is eliminating the concept of power distance from the leadership of the country, in order to make every citizen feel equally important, and that their ideas matter just as much as those of anyone in power. A combination of these four steps or pillars will help an underdeveloped country reach full economic development and achieve a competitive advantage through its human capital and the innovation that lies in the minds of individuals. All costs of this work are covered by the authors. There are no other funding sources. Where did you start your professional career? What are some obstacles that you faced during your early career in Jordan? Are these obstacles still present now? During your early career, were there many opportunities for you to implement your ideas and kick off your career path? What advice would you give young entrepreneurs who are just starting out their careers in Jordan? Based on your experience, what do you think would be a good start-up business idea in Jordan? Define innovation in your own words? Define human capital investment in your own words? How do you think innovation and human capital are related? Is innovation related to technological advancement? If yes, how? How can we get the Jordanian youth to participate in opportunities that help them innovate and start their careers, without the element of fear of failure? How do you think human capital leads to economic development? There is an obvious skills gap in Jordan, how do you think we can breach that gap and develop a more skilled labor? Is it possible to change the Jordanian culture and change an entire generation’s perception of innovation and human capital investment? Would you say the educational system in Jordan is good enough to give you all the right tools to conquer the market? What do you know about innovation and human capital investment? What are your reasons for declining a job opportunity or refusing to take it at this phase of your life? Are there many networking opportunities for the youth in Jordan? How do you think the Jordanian culture affects your career path—whether it was your way of thinking, the opportunities presented to you...etc. ?